I was struggling with how many stars I wanted to give this book. The idea of the story was excellent but I felt there was too much going on to make the book great. The author had too many people in the book who's story she was telling. I also hated the fact there were two different crimes that was taking place against the women in the book and neither one really got any closure.Overall, the book had to much going on for one story. The author just had too much going on for me to connect to any of the people in the book and when I read the last chapter I walked away feeling that there was so much more that should have been said in done. I'm sorry to say that this book left me really disappointed. Though the rough plot was good in my opinion, the execution of it, wasn't. The pace felt off for one thing, then there's the fact that most of the diaogues started with "he said/she said", which really bothered me after a while. Focus was put on things which seem really irrelevant in the end-though I guess parts of it was to intentionally get the readers off track, which is fine-while other things/aspects that would have been interesting to know more about were approached and done with within a couple of sentences. Really wish I could give this one more than two stars, but I can't. Aside from the obvious problems with this book, like how ridiculously improbable any of it is, I cannot overlook the horrible grammar, sentence structure, and overall terrible writing I came across. Here are just a few examples:"...the unseasonably, warm night air" So the air itself is just unseasonably? "Across the dining room a cluster of women gathered around the entrance to the hallway. Looking into it, they talked excitedly in Spanish." Looking into what? Who talked excitedly in Spanish? "Eddie nearly dumped in his drawers when he heard a gunshot." This story is told by a third person and that sentence was part of the narrative. This should not be in a third person narrative! "Grateful for his protectiveness, she realized he hadn't annoyed today." Annoyed whom? "Danielle felt ridiculously adolescent following him into his house, but she had to know if was in for the night, not on a date." You read that correctly, "if was in for the night...""Jeff left the room and called Amy Hayes, Jamie's friend from the office. When she answered, he explained how he'd run into Susan Jaster and what Susan had told him about seeing Lisa the night she'd disappeared." If you read the synopsis of this novel, you'd know that Lisa is one of the people looking for the missing women. When the readers met Susan Jaster, she talked about the night that Jamie went missing. "Orth described the unsub as he had for the group." This is the first, and last, time "unsub" is used in this book. I believe it means "unknown subject" but this author can't seriously expect everyone to know that. "It comfortable room with an open floor plan, the farmer's table in front of a low counter divided the kitchen area from the dining area." It comfortable? "We were all spent the night here again." This is beginning to sound like something I may have written in the 4th grade.It is not my job to edit your book, Marla Madison, but it ought be someone's. I don't care if you got this book for free, or paid $5 for it, it's a waste of anyone's money and certainly a waste of their time. I probably should have known this book was a dud when this sentence is found in the book's synopsis, "When TJ is attacked, and a woman looking remarkable like Lisa is found murdered, they know . . . someone is willing to kill to protect his secret." Proof read, proof read, proof read! I'm not saying that I don't make mistakes because I certainly do, but if I were ever going to publish a novel I would have it proof-read several times. Who is more vulnerable than a group of abused women? Author Marla Madison examines this question in her debut suspense novel, "She's Not There." When clinical psychologist Lisa Rayburn discovers an anomoly in the statistics re: missing women and one of her own clients goes missing, her curiousity leads her to look deeper. Joining her in her search for answers is an eclectic group of peers: two husbands of missing women and a quirky PI named Teal Peacock, as vivid a character as her name suggests. "She's Not There" is full of action and plot twists that will keep you up past your bedtime! Highly recommended! Story was ok, tho a bit long-windedI did like this one, but there was so much that could have been edited out with no loss to the story. I like the song better...I like the song better...I would give it 2.5 stars if I could. It was fine. Not great, not terrible. I was a bit put out by the amount of time given to ancillary characters that are dropped a few pages after their detailed descriptions are given. If the only purpose a character serves is to provide exposition & further the plot, I don't need to know he/she is So-and-so's mother's brother's cousin's veterinarian who enjoys badminton on Thursday afternoons & can dance the tango in four inch heels. I am all for a rich tapestry of narrative, but too much information can get you down.There is one moment in particular that would normally be the climax of the plot. When I read it, I remember thinking, "Really? This is it?" I was expecting some sort of twist right up until the end. However, the tempo moved along just fine.All in all, this book is left me with a feeling of ambivalence. Like I said, not great, not awful. Here's the premise of this book. A psychologist realizes that there are abused women going missing, and she teams up with a former cop turned PI. They decide to investigate, and that it may be dangerous, so they better keep it to themselves. Then they proceed to tell the husband of a missing woman, a man who works for the police, a guy wrongly accused of his wife's murder, the mother of a missing woman, and the woman who works for a man who has an office in the same building as the psychologist. There was also entirely too much going on in this book, so much so that it was hard to keep up with who was who sometimes. There were a few parts of the book that captured your attention, but all in all, it wasn't very good. A good, solid read! Ms. Madison has written about a topic close to my heart--women who've been victims of domestic abuse. Lisa is a psychologist who counsels these victims at a group of shelters. She discovers a statistical anomaly in the reports; several of the women have disappeared. When she take her information to the cops, she's ignored so she and a group of friends take the investigation into their own hands. They stir up enough that it puts the investigation, and them, into danger. Through a series of revelations, Mr. Madison peels the layers of secrets like an onion, with enough red herrings to keep you guessing. Secrets are eventually uncovered, including one that Lisa's kept for years, and the twist at the end is as satisfying as it is startling in this novel of suspense! This was a wonderful suspense book that I really enjoyed. I love to watch the TV show Criminal Minds and as I read this book She's Not There from Marla Madison, I felt that I was reading instead of watching a show with suspence, and criminals and drama of people trying to solve the mystery of the disappearing women. My interest was taken as I found out why this group of people took it upon their selves to find the killer or killers. Not going to give the story away. The twists on this book I had no idea were coming which was so delightful to read and caught my interest even more. Anyone who likes to read suspence books and who done it will enjoy this thrilling ride. Good for you Marla, what a great read. I just struggled with this book no matter how I tried to enjoy it. The actual story was a good one where missing abused women were being taken and used and killed, the concept was laudable, however, the book ran so slow it took me 5 days to even read half way through and not be eager to pick it up to read more. so for me, my conclusion is, great idea for a storyline, needed more punch with pitch, power and pace seeing its a thriller. I've lost track of all the questionable ways I've acquired kindle books, so who knows where I got this one. I'm beginning to wonder how lucrative it might be to pursue a second career as book editor, given how easy it seems to be to let any old mess cross your desk and proceed into publication without a thought to plausibility or fact-checking. I'm off to finish the Goldfinch but I might at least look for a review with spoilers to see how this one ends. I won this book through Goodreads.I liked the plot of the book but there were a lot of characters to keep up with and I didn't feel they were fully developed. I had to go back and find a name occasionally and see where they fit into the story. Because of so many characters, I didn't feel attached to them.I think Marla has talent and I would give another book a try. Book was good and will read the sequel, Trespass, but I guess I thought the characters strayed their investigation to worry about romance. A serial killer on the lose and a group of people unite to find him when women go missing. Some interesting characters. A bit obvious and trite in places but where it wasn't it was engaging. There were many times I had to go back and re-read a few lines to figure out who was speaking because the author used a lot of the he said/she said format of writing, which is hard to follow. There is also a lot of grammatical errors, which gets annoying after a while, but the story line is good. I don't now if it is good enough to turn the book into a series though. I was very surprised to see that there is a second book. It was trying to follow the characters in this book, there was a lot. I found myself asking, 'who was that'? But, as a debut issue, I think she did well. Maybe these errors will be addressed and the sophomore book will be better. A Different and Surprising TwistI'm a fan of suspense and there are more than a few formulas that work well. This was no formula, behaviours and motives are surprising and unexpected. So, suspend disbelief here and there and go along for a wild ride. Madison is a top notch storyteller! Awesome read.If you love mysteries as much as I do this is a book for you. It will have you guessing who the killer is. This book is hard to put down once you start reading it. I can't wait to read the other books in this series. I enjoyed reading this book. It's well-written, entertaining, and has a couple of unexpected twists. Poor writing style. So-so story. This book was a struggle. The storyline was kind of compelling, which is why I finished it, but the author's writing skills definitely need some work. There were many times where the POV jumped from one person to another and you didn't realize it until half a page later, because there were no context clues. She introduced too many characters at once, forgot about them, and then brought them back halfway through the book without reminding us who they were (whether by outright telling or giving clues to lead us there). Overall the book was disappointing, but (somehow) readable. I think she had a good plot, it just got lost in the poor writing...and the ending was wrapped up too neatly, in a disappointing manner. Murder mysteryJust what I needed. A break from my usual horror books. I enjoyed trying to figure out who did it and seeing the friendships develop between the group who came together to solve this "off the books" case. I was surprised who ended up getting murdered in the end. I don't read that many books, mainly because, as an author myself, I'd much rather be writing than reading. But of late, I started looking into the works of other writers that I learn about online--Twitter, etc.--and the title, "She's Not There" caught my attention. It's a favorite song of mine, and the plot summary intrigued me. I started reading it as soon as I downloaded it to my PC, but as so often happens, I got distracted by inspiration and working on my own books. When I tried to pick up where I left off yesterday, I realized I couldn't remember who everyone was, so I went back and started again. I read most of it in a few hours yesterday and finished this morning.On the positive side, the plot line was original--a serial killer who preys upon abused women--something I had never seen done before. Former-cop-turned-PI T.J. Peacock was well drawn, memorable, and compelling, and quite easily the best character of the book. I found myself looking forward to her next appearance, of being inside her head, because she's smart, sassy, and strong. I have another positive to add, but before I do, I need to discuss the negatives.There are a great many characters here, and I sometimes found it hard to keep track of them all, especially when they don't appear "on stage" for a long spell after being introduced. In some cases, what seemed like a minor player I could dismiss turned into someone more important, and I had to refresh my memory by going back and rereading that person's first appearance. Of course, my memory ain't what it used to be, either.I also figured out who the killer was soon after his introduction. A few red herrings along the way distracted me now and then, suggesting I might have bought into a clever ruse, but I usually came back to my first suspect. That being said--and here comes another positive point--I kept reading. Usually, when I figure it out early, I jump to the end to verify my conclusion and then I'm done. It takes a really good story, well written, to make me keep reading and let it all unfold. I have to become invested in the people, the world the writer creates, to do this, and Marla Madison certainly succeeded. "She's Not There" was a good read with a satisfying ending, all the loose ends neatly tied. Certainly well worth it. 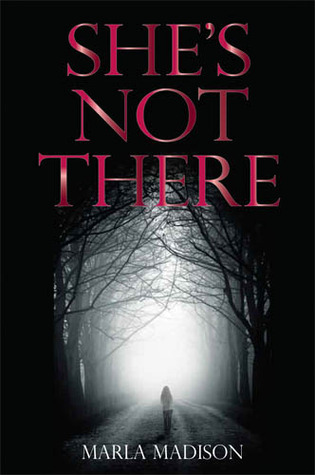 Marla Madison’s debut book can be described by its title, She’s Not There: A Novel of Suspense. Suspense is exactly what the author dishes out. Lisa Rayburn is a psychologist, in the midst of researching and writing a book on abused women, she becomes concerned about the absence of one of her clients. On further investigating the hiatus in her patient’s treatment, she finds that Jamie Denison has gone missing. Lisa becomes alarmed after looking at the statistics of the number of missing women in the area, and decides to take the information to the police.TJ Peacock used to be a police officer, but now she’s a PI. Her relationship with an officer keeps her close to the stories that revolve through the station, and close to the same statistics that Lisa has uncovered. TJ approaches Lisa about the information, and the two decide that since the police don’t have enough evidence, they’re going to find the information that the police need to open an investigation. Along the way, they invest in the help from two of the husbands that have been accused of foul play in the disappearances of their wives, and all those involved proceed to reveal the motive behind their involvement in the investigation. The story starts slow, with interviews, and hearsay evidence, but halfway through the story comes the twist. I like to be the person that says: “I knew it, I seen it coming,” and at first, I did. Then, just when you think you know what is going to happen next… you don’t even see it coming. She’s Not There was a very well thought out suspense, with so many flips and twists in the story, it will leave you with your head spinning in the end. Marla Madison compiled a lot of short chapters, giving you with a feeling of reading micro fiction, which entices you into just reading one more chapter. If you are looking for something with suspense, conspiracies, and murder, then look no further. Marla Madison - Marla Madison currently works part-time doing arbitration for the the Federal Mediation and Conciliation Service. Hard at work now as an author, she is writing her sixth novel of suspense. Her first series, the TJ Peacock & Lisa Rayburn suspense series, has three editions out, the third, Girl Undone, has just been released. Marla is currently working on the third novel in her second suspense series which spotlights Detective Kendall Halsrud.At home in Northwestern Wisconsin, Marla lives on Prairie Lake with her significant other, Terry, a beloved shelter-dog, Skygge, and Poncho, an opinionated feline from the same shelter who believes he is the boss of everything.Some of her favorite things are playing duplicate and tournament bridge, golf, reading, pontooning, and taking long walks with her dog.